My moment of enlightenment came during a painting class I took several years ago through the Continuing Studies program at Maine College of Art (MECA). It was called Painting for the True Blue Beginner and was taught by artist Patsea Cobb. Our assignment was to find a picture of a painting we liked and try to copy it. 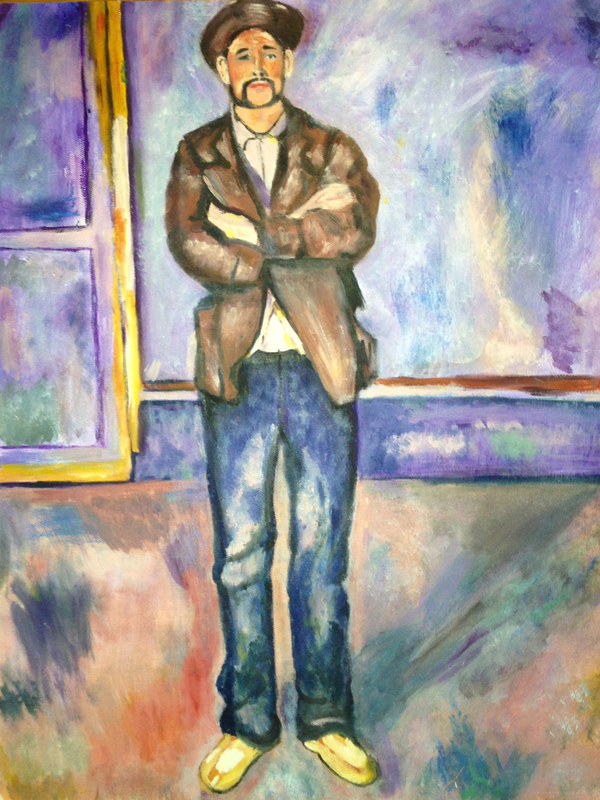 I chose Man in a Room by Paul Cezanne. I had absolutely no idea what I was doing, but just kept trying to paint what I saw. Patsea had warmed us up with several demos on how to prepare your canvas, lay out the palatte, hold a paint brush … I’ll never forget the moment my view shifted, literally and figuratively. I was working on the man’s pants and tried to copy a shape on one of the legs. 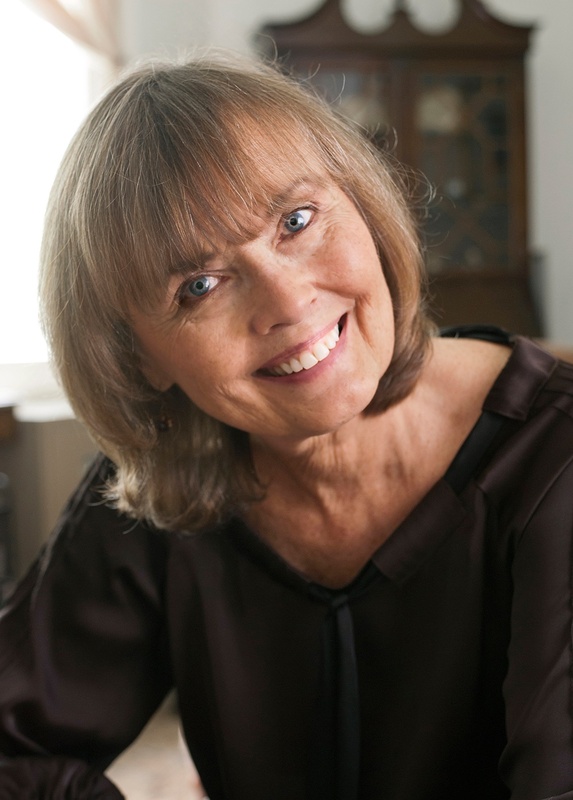 I stepped back as Patsea had encouraged us to do and there it was — a wrinkle in the pants. I was astonished and from that moment on, I have been trying to make my own marks. My epiphany in the painting class inspired me to take more classes and explore the possibility of becoming an artist. It’s been a slow, but rewarding practice. Because, until recently, I worked full-time, I didn’t have unlimited opportunities for classes and workshops. 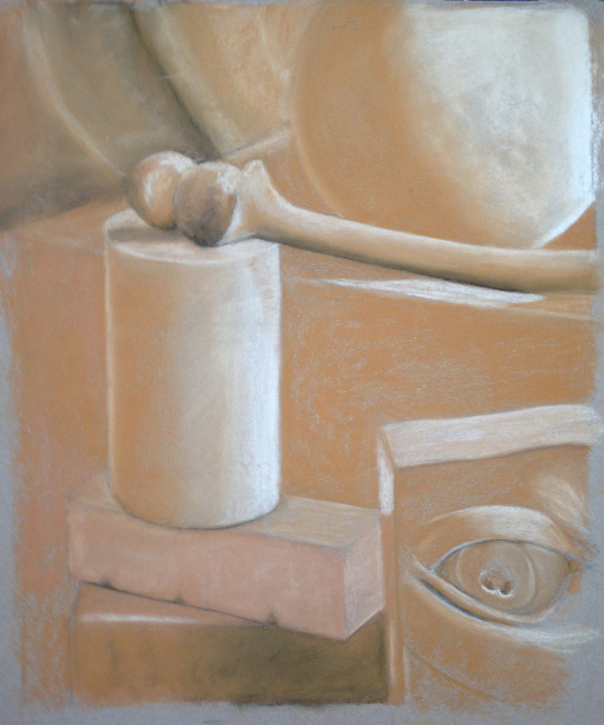 I signed up for night time drawing and painting classes at MECA, attended a workshop at Scottsdale Artists School and another in NYC, joined some life study groups, and studied drawing with my friend and former neighbor Lucy Ellen Smith, who creates beautiful, beautiful pastels. Instead of Learning to Draw, Lucy calls her drawing classes Drawing to Learn. That’s one of the gifts she gave me … to pay attention to what you are seeing and try to learn from it. A few years ago I left my fulltime job to become a freelance writer, which sometimes takes up twice as much time as any of my previous careers! Only now, I have more flexibility because I don’t have to be in the office during regular business hours — a blessing and a curse. I ran into a friend at a Saccarappa Art Collective reception about a year ago. She told me she was getting an art degree at USM and because she was over 65, tuition was waived. That got me excited because I was turning 65 in a few months and thought maybe I could take a class here and there. Several months later, I was interviewing Rodney Mondor, who works in USM’s Student Success Center, for an article and told him I was thinking about taking some art classes. He suggested that instead, I consider getting a degree, primarily because it would give me a path to follow. The more I thought about it, the more I realized it was a brilliant idea. I used to wish I could quit my job and go to art school and now the possibility was real. I applied for a fine arts degree — even had to write two college essays — and here I am, a freshman at USM pursuing a fine arts degree. Because I have freelance writing and blogging obligations, I only signed up for two classes this first semester: Drawing 101 and 2D design. I decided to start this blog because I believe that it’s important to document my journey. I think it will help me because writing about my experiences will force me to think more about what I’m learning. It also gives me the opportunity to document my progress, better understand problems that need to be solved, and visualize what I’ve learned and accomplished. If you look closely at the name of the blog — mylatestart — you’ll see that it’s really two names: my late start and my latest art. I know, wicked clever! Wish me luck on this new adventure and no matter what your age, I hope mylatestart will inspire you to pursue your own heart’s desire. Best of luck with your classes Diane! The biggest obstacle is convincing the eight inches between your ears that you are an artist. Once you’ve done that, the brush is soon to follow. I’m looking forward to seeing your updates. Thanks Kevin. Funny how our brains can work against us sometimes! You go, girl! Looking forward to hearing more details about this latest chapter when we get together for those long-awaited drinks in Portland…what’s your schedule like in September? Thanks Roxanne! I just sent you an email. Diane, that is so great! As a career-shifting person myself (I’m writing my college essay right now while I take my first graduate class in social work at USM) I can relate to this in so many ways. All the best to you. That’s exciting Jen! You are going to be a wonderful social worker. I’m going to look for you on campus.